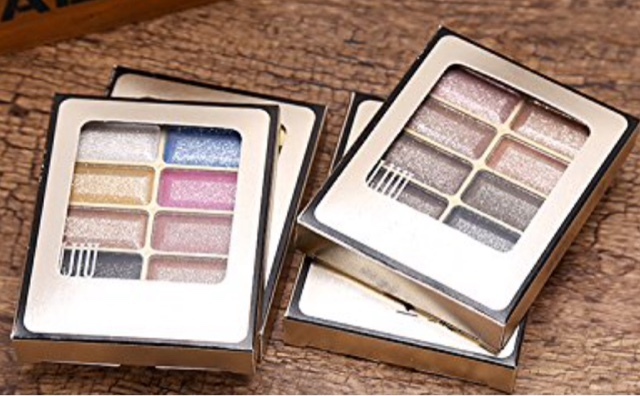 Wonderful 8 full color palettes eyeshadow sets prefer for party makeup/casual makeup/wedding makeup, etc. Great for on stage makeup, Dance makeup, neutral makeup. Different colors for different looks. Item size: L-7.1 cm x W-8.2 cm x H-1.2 cm. Stylish black hard case. 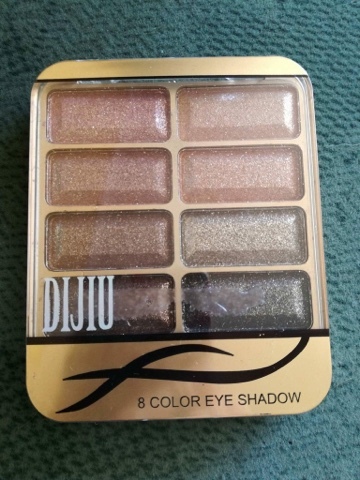 The Dijiu Eye Shadow Palettes are available in six different colour combinations. They range from vibrant, bright shades to more neutral ones. Also the finishes on them vary - some are matte colours, others are shimmery and glittery. My friend's teenage daughter, Katie, reviewed the eye shadows for us. The set she chose to review was set #5, which has natural colours in a shimmer finish. The eye shadows that Katie tested were very sparkly and looked pretty. I think they looked very effective when applied (see photo below), but apparently you had to apply a lot to achieve this effect. It took a few applications to build a noticeable, clear colour on your skin. Unfortunately Katie found the eye shadows to be quite messy. The glitter comes loose from the eye shadow and you end up with glitter all over your face. These eye shadows are probably best suited to those who want a glittery, party look or for young teenagers like Katie. 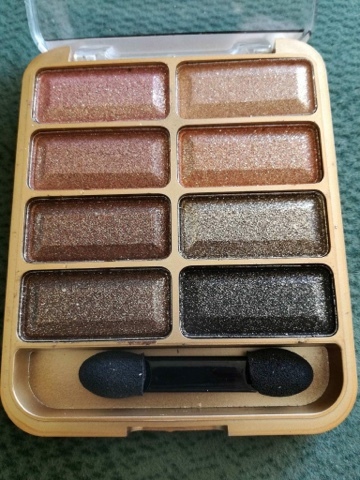 Katie has given these eye shadows three stars, because they are messy and it takes a lot of time and applications to build up a decent colour.